Belmont University’s Simulation Program recently received full accreditation in the Teaching/Education Area from the Society for Simulation in Healthcare (SSIH) and the Council for Accreditation of Healthcare Simulation Programs. The status was granted for a five year period and is valid through December 2022. The University’s robust Simulation Program exists to improve patient safety and health outcomes by providing high quality, evidence-based, experiential education in a safe innovative environment. With many labs offering a variety of experiences, students in many programs throughout the College of Health Sciences and Nursing (CSHN) have the opportunity to participate in a simulation during their time on campus. Additionally, the Simulation Program’s material recycling program was acknowledged as one of Belmont’s best practices, and a recommendation that other programs adopt the initiative was mentioned. This innovative program saves the University more than $40,000 per year. 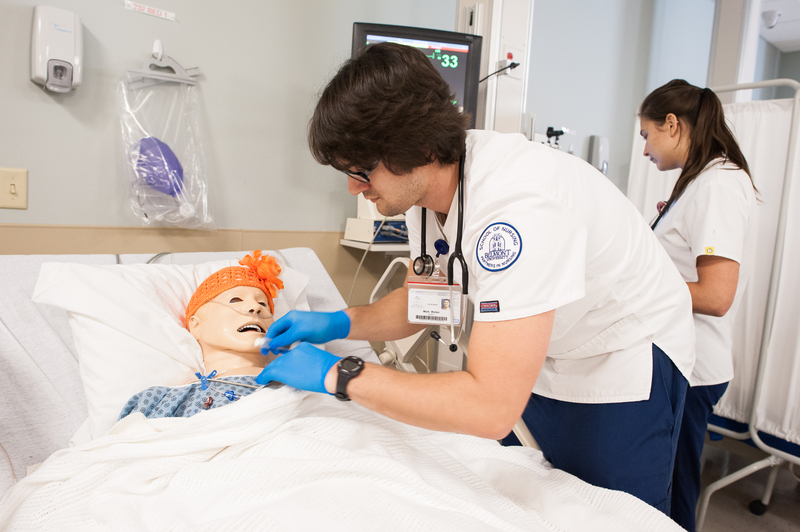 Belmont’s Simulation Program is the first in the state to receive this full accreditation.